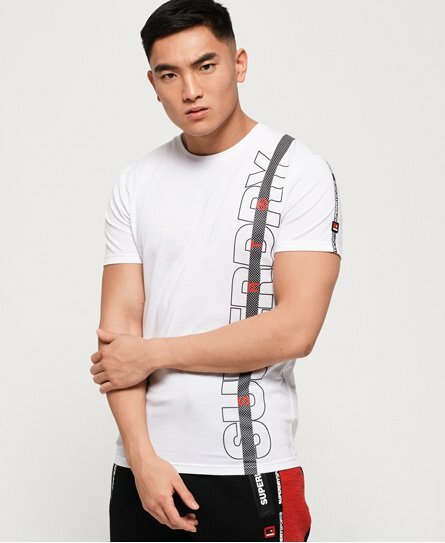 Superdry men’s core taped t-shirt. This tee will be sure to complement all of your training outfits, designed with short sleeves and a flattering crew neckline, this easy to wear tee will become a staple in your workout wardrobe. It features a Superdry sport logo down the chest, Superdry branded taping on each sleeve and a subtle Superdry badge to finish. For a key sporting look this season, pair this tee with our shorts or joggers.